According to Nissan design boss Shiro Nakamura to Automotive News, the Sway was specifically designed to attract interest to visitors in Geneva. However, he believes that the shape could be attractive to buyers in other parts of the world. 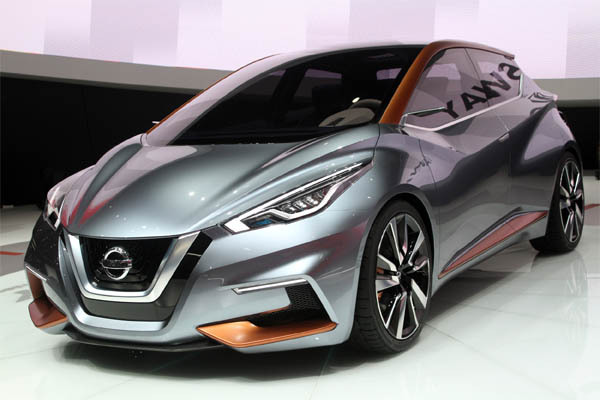 The showcar's styling blends elements from earlier Nissan concepts with the deeply V-shaped front end off the Lannia Concept and the floating roof from several others. The company isn't divulging a possible powertrain quite yet, though. Rumor has it that it will replace the Leaf after 2017.